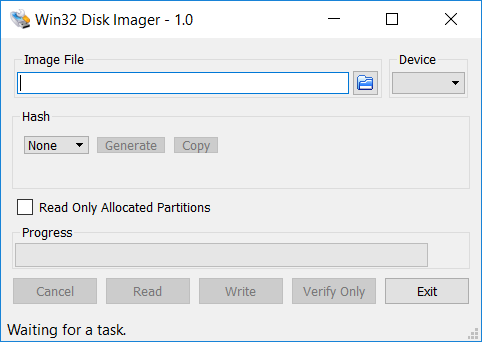 I have been trying to find an utility to "burn" (write) an ISO file to the second (hidden) partition on a multi-partition USB in Windows (something easily done in Linux -- see http://rudd-o.com/linux-and-free-software/a-better-way-to-create-a-customized-ubuntu-live-usb-drive ! WARNING: due to the move from GRUB legacy to GRUB2, that recipe isn't fully working anymore...). Released v0.7 yesterday. I'm moving the project over to http://sourceforge.net/projects/win32diskimager so get it there. Lots of new fixes with this release. v0.6 changelog: "Not much to this release, other than a few minor fixes and a missing header in the source zip file (it was in the bzr tree though). Consider it an amended tax return without the auditors. :P". 1 It writes to USB menory sticks; But 'USB' not in title or Category (even readme states '...can not write CD-ROMs'??) so hard to find.